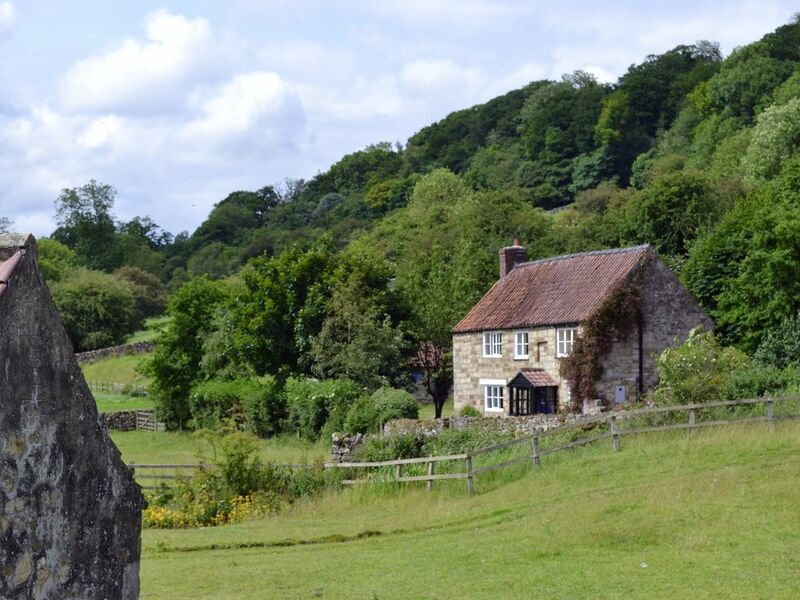 A detached character cottage with an open fire, overlooking Rievaulx Abbey. With stunning views towards the magnificent ruins of Rievaulx Abbey this 18th century detached cottage sits in a quiet corner of the North York Moors National Park. Mill Cottage has lots of charm with beamed ceilings, open fire and a south facing garden. Rievaulx Abbey has a tearoom with some excellent eating places and shops at Helmsley just a five minute drive away. Pickering, home to the Steam Preservation Railway, the city of York and Whitby, Scarborough and Filey are within easy driving distance. Shop, pub and restaurant 2½ miles. Mill Cottage can be booked together with Swiss Cottage (UK2450) and Mill House (UK2088) to accommodate up to 14 guests. Living/dining room: With open fire, Sky TV and DVD player. Kitchen: With electric oven, electric hob, microwave, fridge/freezer, washer/dryer and door to garden. Oil central heating, electricity, bed linen, towels, Wi-Fi and logs for open fire included. Travel cot and highchair available on request. Lawned garden with garden furniture. Livery available on request. Private parking for 2 cars. No smoking.